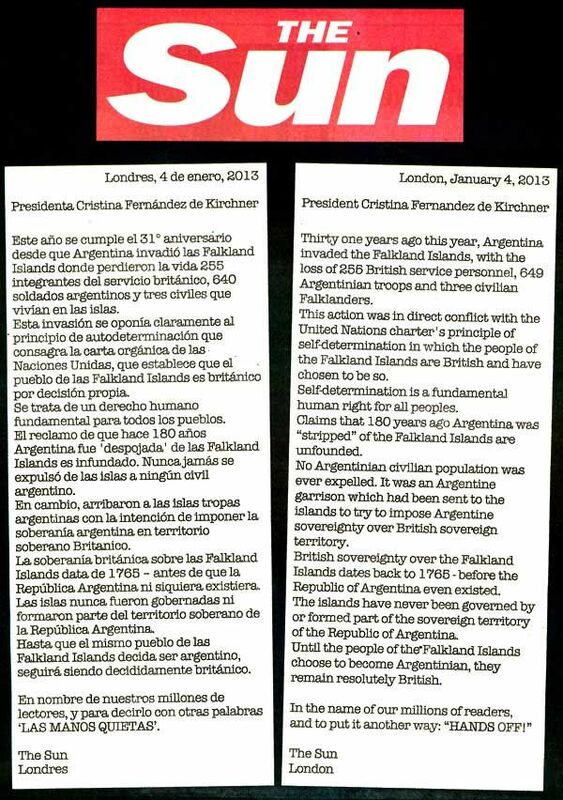 Yesterday Argentina’s Prime Minister, Cristina Fernandez de Kirchner, placed an advert in UK newspapers demanding that the British Government abide by a 1965 UN resolution to “negotiate a solution” for the future of the Falkland Islands. Today, The Sun newspaper placed an ad in response (written in Spanish but translated above) in The Buenos Aires Herald. This is a great PR stunt by The Sun newspaper and will earn them a proverbial pat on the back from their millions of readers.